Po krajšem zimskem oddihu se vračajo Massive! zabave v Channel 0. Po tem, ko smo v preteklosti organizirali različne vrste zabav na različnih sistemih, od “spontank”, do koncertov, dub večere, Massive! 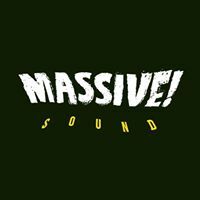 Gathering, na katerem so bili prisotni vsi slovenski sistemi, je čas, da obrnemo nov list in pripravimo prvi slovenski SOUND CLASH. 2 sistema, 2 ekipi eno plesišče - Massive! Clash w. Roots in Session Sound vs. Boris Sound System. Sound Clash je posebna oblika glasbenega tekmovanja, kjer se ekipe različnih sound systemov pomerijo med seboj in testirajo sposobnosti en drugega. Prvi “clashi” so se začeli na Jamajki v 50ih letih prejšnjega stoletja. Pomerjanje moči na ulicah je prerastlo v zabave, katere so prvi organizirali Count Nick the Champ, Tom the Great Sebastian, ki se smatra za začetnika kulture in Duke Reid’s the Trojan. 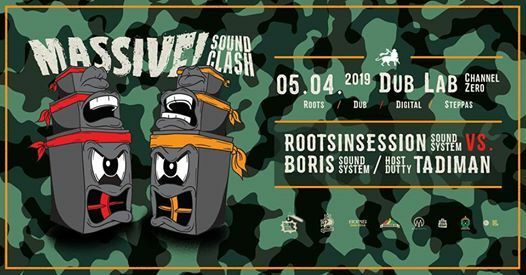 Sound clashi so se pojavili, predno se je razvila reggae, ska ali dancehall kultura! Ni trajalo prav dolgo, ko so novonastalo kulturo pograbili tudi v Evropi, bolj natančno v Britaniji, kjer je ledino oral Sir Coxsone Outernational z ostalimi, kot na primer Jah Shaka, Channel One in Saxon Studio International. S prehodom na evropski kontinent so se malenkostno priredila tudi pravila. Če je na Jamajki prvotno veljalo, da je tekmovanje predvsem v glasnosti, so v Angliji zaradi vremena prestavili tekmovanja v notranjost in bolj, kot glasnost je postala pomembna glasba sama. V tem času se tudi uveljavi glasovanje publike, ki na koncu določi zmagovalca. Verjetno največji razcvet v kulturi se pojavi v 80ih, ko se v “clashe” impletirajo Mcji. Veliko so tudi prispevali velikani glasbe kot so Yellowman, Tenor Saw in Buru Banton. Ravno tako se v tistih časih pojavijo “dub platei”, kjer glasbeniki izgovarjajo (kličejo - shout) imena sistemov. “Dubplates” so zelo popularni in v rabi še danes in se vse vrti bolj ali manj okoli njih. Veliko vlogo še vedno igrajo zvočniki in kakovost glasbe, a obstajajo tekmovanja, kjer je prepovedano igrati drugo glasbo, kot glasbo narejeno le taisti dogodek. After brief winter vacation Massive! sessions are back! We did all kind of sessions, from live concerts, local parties, spontaneous sessions, Massive! Gathering with all Slovenian sounds, but we never did CLASH in Slovenia. Real Sound Clash! Not until now! 2 sounds, 2 crews 1 dancefloor - Massive! Clash w. Roots in Session Sound vs. Boris Sound System. through UK. One of first well known Sounds was Lloyd Coxsone’s Sir Coxsone Outernational, with others such as Jah Shaka, Channel One and Saxon Studio International following close begind. When it reached UK clashes got new modified rules. While in Jamaica, in original format, competition was based in drowning your opponent in volume, now in UK, clashes have moved indoors, meaning clash is more based on selection and music, nevertheless speakers still play a big role. To help with decision of winner public gets more involved. Probably biggest development of sound clashes comes in 80s with artists such as Yellowman, Buru Banton and Tenor Saw, where for first time live MCs and vocals were first introduced to clashes. In that times also name calling and “dub plates” were introduced to clashes, which are in use still nowadays. Today more and more is based on “dub plates” and name calling (Artists shouts name of sound), some clashes even forbid to play any other music than “dubs”. 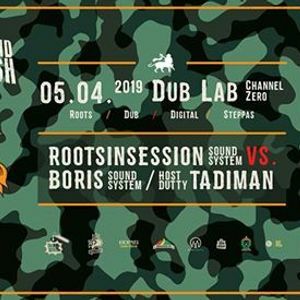 Roots In Session is well known sound crew in Slovenia and wider. Fu and Pier are present on scene for more than 20yrs, with their former crew Radyoyo and from a year 2000, as a solo project they named Roots In Session sound system. After well received mixtapes Kus Kus and Shihsmish, they started to produce their own music in 2009. Since then they collaborated with Balkan’s most known artists such as Klemen Klemen, Baga Sound, Frenkie, Dubioza Kolektiv, Edo Maajka … their recent project was an album of remixes with Emkej and they also upgraded their system so we know they are eager to show their skills and music. Boris Sound System may be one of younger crews in this culture but their contribution is not to be neglected. They managed to build their sound to high standard and are deeply involved in sound system culture. Not only trough show and sessions but with building their own production trough Massive! Sound Records label. Sound has managed to build recognition quite fast and are no strangers to parties in Croatia as well, where they performed alongside Vibronics, Pandemonium Festival and in Pula where they got invited for a clash. Channel 0 is home base for events they organize under platform Massive! this winter and you can be sure they don’t want to be defeated on home court.